If you own a business with a parking lot, your first concern is how you are going to keep it safe for your customers and your property. Having a safe and secure parking lot makes your customers feel at ease while shopping at your business. They will know that you care for their safety and peace of mind when they see the cameras in place. Vandals and thieves will think twice about their actions when they see parking lot security cameras and will go to a less secure business to prey on others’ property. A good security system is a must for any business and is dependent on its camera system first and foremost. 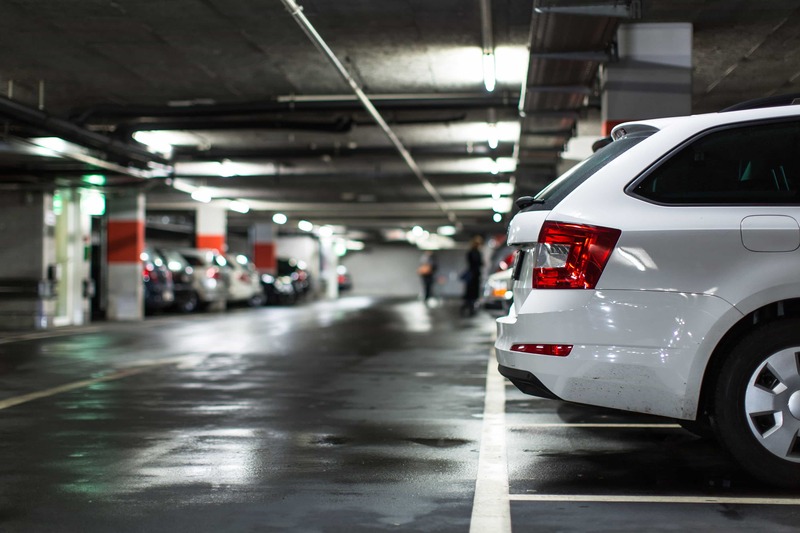 With the overwhelming information available, how do you go about choosing the right parking lot security cameras for your business? There are two main kinds of parking lot security cameras in use these days. CCTV is the older, analog system that many companies still use today. A CCTV camera broadcasts a closed-circuit signal to an analog recording device, such as a DVR. The cameras will send footage to different channels on your DVR. A DVR usually has between four and sixteen different channels. It will record what is going on in your parking lot, as well as send footage to your monitors. These monitors will be in an on-site office, requiring frequent checking by yourself and your employees. The other kind of security camera is an IP camera. This camera sends its footage to an NVR – a Network Video Recorder, which can use a PoE system (power over Ethernet). It means that the power for your cameras runs through the same cord that sends your data, requiring fewer wires to run and install. An NVR system also has between four and sixteen channels for viewing. The footage from IP parking lot security cameras can be accessed over the internet by your smartphone for remote viewing of your parking lot from anywhere you are. The importance of video surveillance of your parking lot cannot be overstated. 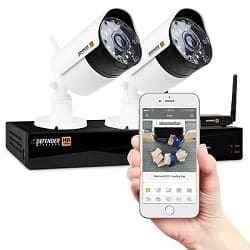 Besides making your customers feel secure and protected and keeping theft and vandalism in check, it is useful for law enforcement to identify thieves or other criminals who commit crimes regardless of cameras. It is also important to have video proof of things such as accidents and damage of property. If someone claims to slip and fall on your property, it is good to have evidence of what really happened. A camera can protect you from false liability claims. Good security cameras make it safer to walk through dark parking lots and parking garages, where kidnappings and muggings are more likely to take place. A camera system can track who goes onto your property, cutting down on trespassing. If your parking lot is a paid parking site, your surveillance cameras can catch people who try to park without paying, saving you from lost profits. deter thieves from targeting your customers when they’re walking to their cars. prevent car thefts and vandalism. can record license plate numbers, which can be helpful to law enforcement. prevent theft of store property. can help settle auto collision disputes. can help you get a discount or reduced rate from your insurance provider. Power outages can disrupt your video surveillance. Thieves may target your cameras as an object to be stolen. Rain and the wind can disrupt your video surveillance. How big is your parking lot? How much area you need to protect determines how many cameras you need and how to space them. Do you want fixed cameras or cameras that can pan and zoom by remote control? If the latter, a PTZ (Pan-Tilt-Zoom) camera is probably what you’ll be looking for. PTZ cameras can also be programmed to move to where motion sensors detect the action. 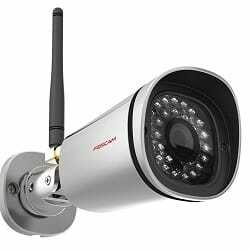 Do you want your security cameras to be hardwired or wireless? Wired cameras have a more stable signal, but are more expensive and difficult to install. Wireless cameras can be placed anywhere and use Wi-Fi signal to send their data to your NVR. You should probably consider a camera with good low light recording or night recording. Most parking lot crimes occur at night, under cover of darkness. A thermal or infrared camera that captures heat signatures might be a good option to consider as well. Do you want to go with an analog or digital system? The analog CCTV system is secure and suitable for on-site viewing and has high volume recording potential. The digital IP system is suitable for remote viewing and has much higher video resolution than the CCTV system. It’s also easier to use with wireless systems, so cameras can go anywhere and cover more parking lot areas. Placement of your cameras is very important. You want to put your cameras at the entrance and exit of your parking lot so you can see exactly who goes in and comes out. Make sure you have enough cameras to ensure that your parking lot is fully secure. If your cameras are on a high, inaccessible poles, they are less likely to be stolen or vandalized. The Defender camera is one of the best camera digital technologies that reach even the unreachable points in your homestead such as the garage, shed and parking space. It features clear, smart signals and a highly adaptive technology using the FHSS to reduce any signal interference. At the same time, it provides the best-uninterrupted image viewing over a WI-FI network. The camera has two-night vision camera features 1080 pixels at a wind angle to offer better night surveillance. Defender app also allows for remote live streaming of video at the comfort of your sofa and also while in your outdoor errands. The cameras feature a lightweight polycarbonate housing which rates at IP65. The defender app sometimes can be trouble when trying to save an image or video on a mobile device. Installations limitations, better installed only in the construction phase of a home or business, otherwise buying extension cables will increase installation costs. 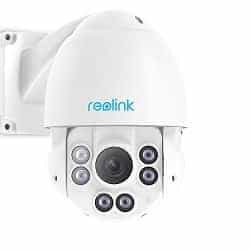 The Reolink ptz ip camera features a high-resolution camera with of 4 megapixels ranging at 2560× 1440 compared to the much lesser IP cameras which offer a resolution of 720 pixels and 1080 pixels. The Reolink camera introduces an amazing experience with much sharper and clearer images and videos without missing any details. The night visuals are awesome. This camera offers a round the clock home monitoring with the six infrared LEDS that allow for a super long-distance of 190 ft. even in low light conditions. The 4X optical zoom is quite impressive as it has an autofocus function that allows for the cameras full viewing at an angle of 36-100 degrees. It lets you see more details of an object that is far away without having to get closer to them. The camera combines a very high-quality HD digital camera with a super powerful server that is inbuilt to provide live video streaming anywhere. The camera is an IP that comes with 30 high power LEDS which provide clear and sharp night vision of up to 65ft. The advanced WDR with a vibrant 1080 full HD corrects even dark images with the auto cut for color accuracy. The night visual are high quality as even dark objects can be detected from a distance. The camera also has a motion detection system that gives immediate alerts on your device wherever you are. It also has an SD card slot or hard drive that allow for recording of any activities taking place in your home vicinity in your absence. It is easy to use as all you need to do is download the Foscam app. 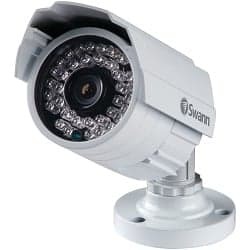 The Swann camera comes with a high resolution of 900 TVL capable of giving clear and sharp imaged and videos. The power night vision has a capability of covering an approximate 82 ft./25m giving a good view of images and videos even in the dark hours of the night. It lets you plug it on your DVR for recording or your TV for an immediate surveillance. The camera offers a viewing angle of 59 degrees both day and night with images being colored during the day and switching to black and white during the night. 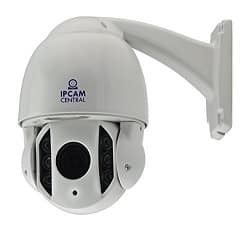 The IPCC-9610 V2 camera is a professionally built camera that grades as an IP camera that comes with a color sensor for better resolutions of up to 1920×1080 pixels. The high-quality zoom feature combined with the auto focus feature produces bright and sharp images and videos. The IPCC-9610 supports the industry’s compression technology at the same time lowering the bandwidth needed for video transmission and recording. The built in web server support function that is compatible with Firefox, chrome and internet explorer for ease in setting configuration and image viewing. The night vision allows for good viewing of a distance of 60 meters with a motional detection within an angle of 360 degrees. Easy to use as it is compatible with various platforms such as windows, MacOS, iPhones, and I pad support. Allows for android support with the inclusion of my live cams and blue iris. Easy to install and setup due to the ONVIF technology. In conclusion, parking lot security cameras are one of the best ways to protect your business and your customers. Security camera technology has gotten much better over the years and is getting better all the time. With IP cameras, you can get alerts directly to your smartphone about unwanted activity on your property, making it much easier to notify the police in the time manner. You can store more footage for longer periods of time, using the cloud storage systems. And you can view your security footage from anywhere in the world, making your peace of mind for your parking lot very convenient. Every parking lot needs security. And a video is worth a thousand words.